I feel hugely underqualified to review this economics classic, not just because I’m not an economist (ignorance seems to be regarded as a qualification among many of them) but because the book takes in a vast sweep of British/European history. I have doubts about some of the historical narratives he constructs but I’m not well-enough informed to actually challenge them. However about some of his reasoning I feel I can comment. It is pretty impressive, and chimes not just with common sense, but with what many people will have experienced in their lifetimes. The Great Transformation was published in 1944, when a lot of people were thinking very hard about what had gone wrong with the world. I think some of Polanyi’s answers make more sense than many other answers I’ve heard. They are also as relevant today as during WW2. So here’s the nub of the argument: You can’t have a market in land, labour or money. It’s absurd to even try, and the free marketeers who have tried have been (a) foolishly utopian and (b) incredibly destructive. The serious unleashing of markets in societies that have previously had a lot of restrictions on the market destroys the fabric of society. This is actually kind of a tautology I suspect: the restrictions on the market were the social fabric, to some extent. So the effect of markets in general is dangerous to society, but can have many positive sides (this book is not a polemic against markets). But the effect of trying to establish a market in land, labour and money (fictitious commodities as Polanyi calls them) is always going to be disastrous. In every society where it is tried there will be a backlash, often taking unpleasant forms. He describes fascism across Europe as a result of the utopian free market experiment conducted on the global economy in the early part of the century. You can’t have a market in land because there is a limited quantity of it, you can rarely make more, and a lot of land use will always be determined by necessity and custom. There is never a free market in land, only a fake free market. You can’t have a free market in labour because labour doesn’t behave like a commodity. Labour is people. It starts revolutions and stuff if you drop its price too far. An interesting point: a free market in labour would actually involve constant striking (to get the true cost of a commodity you withdraw it from the market, or at least make it scarce, to see how much money chases it). You can’t have a free market in money because money only exists because of government action and with government backing. Duh. The bigger message here is that ECONOMY IS ALWAYS EMBEDDED WITHIN SOCIETY. Free market fundamentalism attempts to disembed it, which creates massive social dislocation and also doesn’t work. Part of the embedding (though not all by a long way) of economy in society is mediated through the state. Anyone who pretends otherwise is deluded. If the state is an expression of social forces, expecting it to abstain from dabbling in the economy is like expecting wind to stop messing with your weather. Traditional communities, says Polanyi, function on reciprocity, independent householding, redistribution. This is what ‘free’ markets undermine. Liberalism tries to destroy all economic relations between people that aren’t contract relations, and this screws up a lot of the actually existing economy on which people survive. The reaction against free markets is not, he is at great pains to point out, a conspiracy of self-serving unions and so on, but an act of self-preservation. The more violently you try to impose the free market, the more violent the reaction will be, as people try to save themselves and the social relations they value. If you prevent the reaction against free markets – trade barriers, welfare provision and so on – you create a pressure cooker. There are some potshots at Marxian thought along the way here. 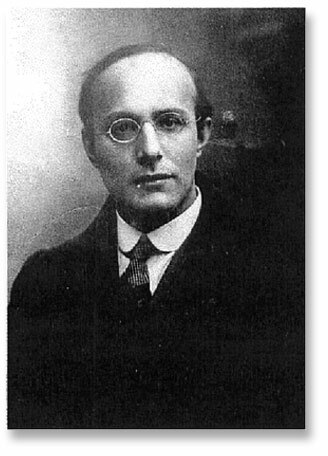 Social damage, says Polanyi, is often more politically significant than the financial ‘exploitation’ that some try to claim as the objective reason for the working class to act together. Like Marx he agrees that capitalism has achieved much in the material sense. Unlike Marx he never seems explicitly anti-capitalist, just anti-liberal (economic liberals that is, or neo-liberals as we would call them). Previous post: Paul Mason – half right about the end of capitalism?